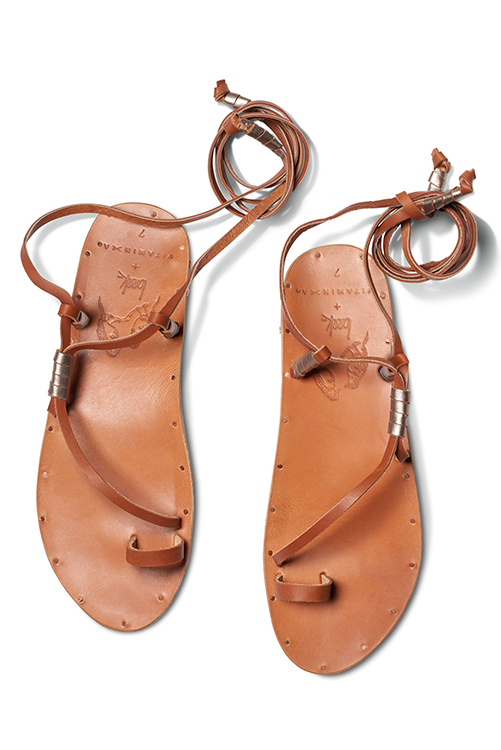 Vitamin A + Beek Sandals are made of extremely soft leather hand-dyed so there is a natural inconsistency to them. Unique ‘toe spring’ built in soles add comfort as well as support – according to how your toes sit, leather will lower to that spot (much like an arch for your toes). * Made in average, whole sizes. If you wear a half size, select a size up (6 & 1/2 shoe size would be a size 7 in Beek Sandals). 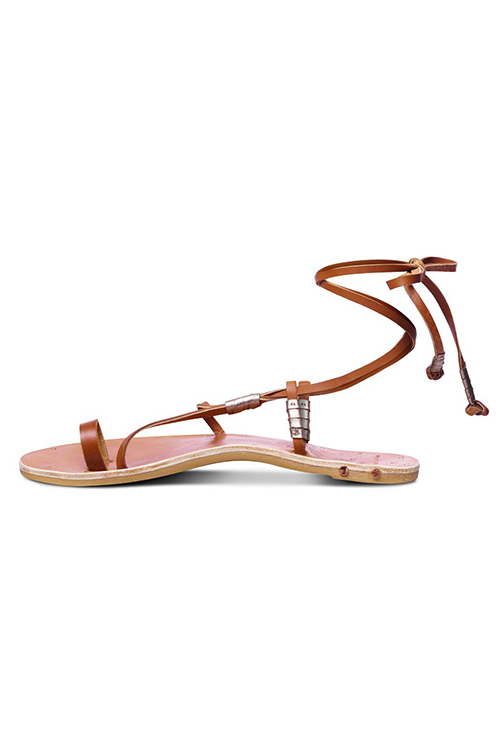 Vitamin A’s + Beek Tan Bluebird Sandal features a gladiator design. 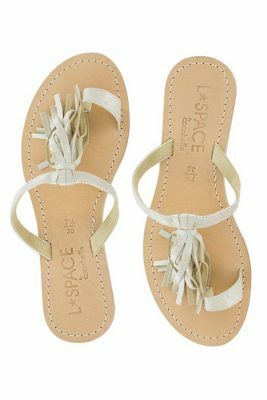 Leather lace straps are long enough to crisscross up leg or simply around ankle. Comfortable toe strap. 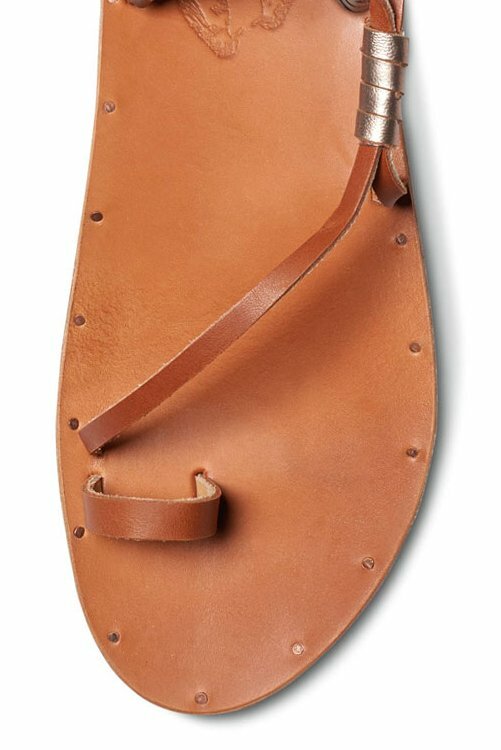 All Beek sandals are made of extremely soft leather that is hand dyed so there is a natural inconsistency to them. All-leather soles soften up within hours and start molding to your feet. Unique ‘toe spring’ built in soles add comfort as well as support. Also according to how your toes sit, the leather will lower to that spot (much like an arch for your toes). Made in average, whole sizes. 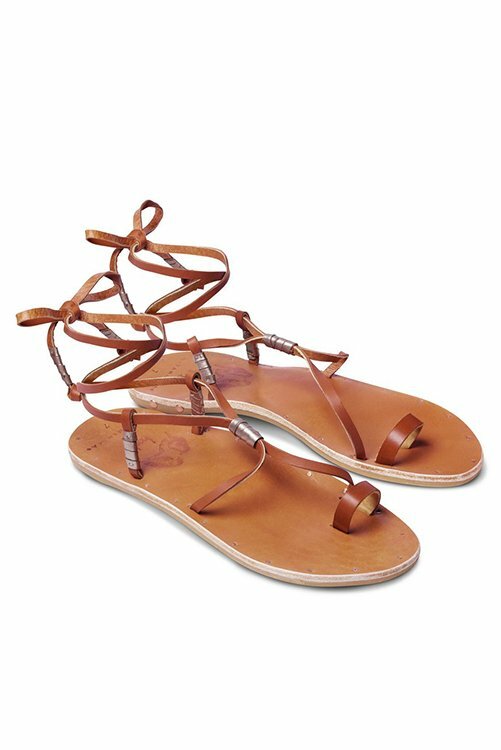 If you wear a half size, select a size up (6 & 1/2 shoe size would be a size 7 in Beek Sandals).